First published in 1969, this work traces the evolution of Romanticism and in doing so, demonstrates its novelty as an imaginative and emotional perception of the world in contrast to the rationalistic approach which was dominant in the seventeenth century. It identifies the fundamental similarities between Romantic writing in England, France and Germany as well as their differences brought about by divergent literary and social backgrounds. 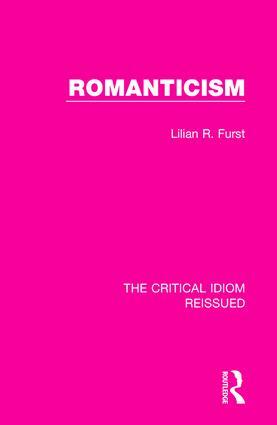 The book is concluded by a review of the problems that arise from a simple definition of Romanticism.